I pass through Singapore quite a lot on the way to other destinations while scuba diving, as it’s one of the main hubs for heading into Indonesia. I like to have my own room while travelling so I’m well rested, and up to now Singapore didn’t have a very big selection of appealing budget hotels. There’s the Hotel 81 chain that has properties all over Singapore (you can browse them here) but they always get pretty mixed reviews. I decided to try the Ibis Singapore as it was offering big discounts having just opened. 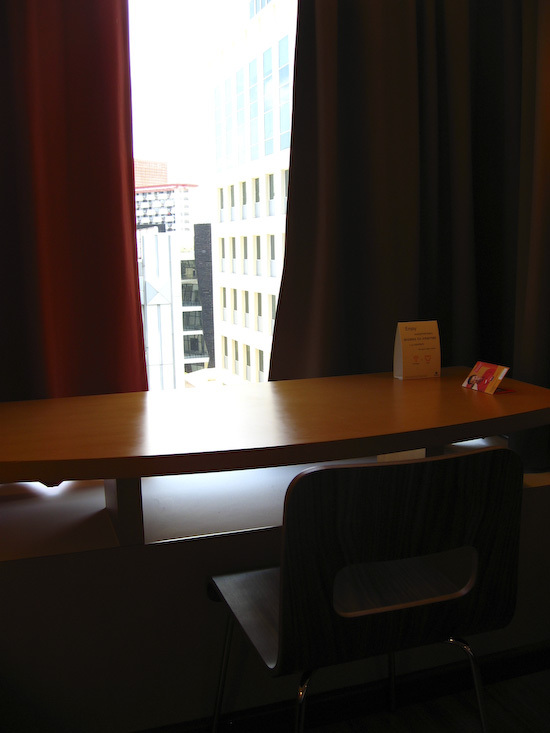 I got it for around $60 US but the usual price is nearer $90 US a night, which is not too bad for Singapore. 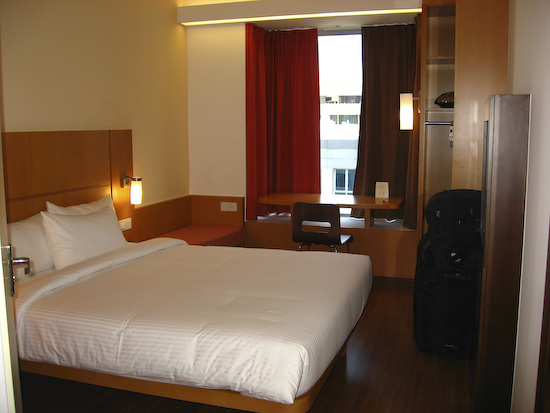 (You can check current rates for Ibis Singapore on Agoda. It’s also worth checking the Singapore Hotels Special Offers page to see if there are any current bargain rates) and also Singapore’s Airport hotels if you are in transit. 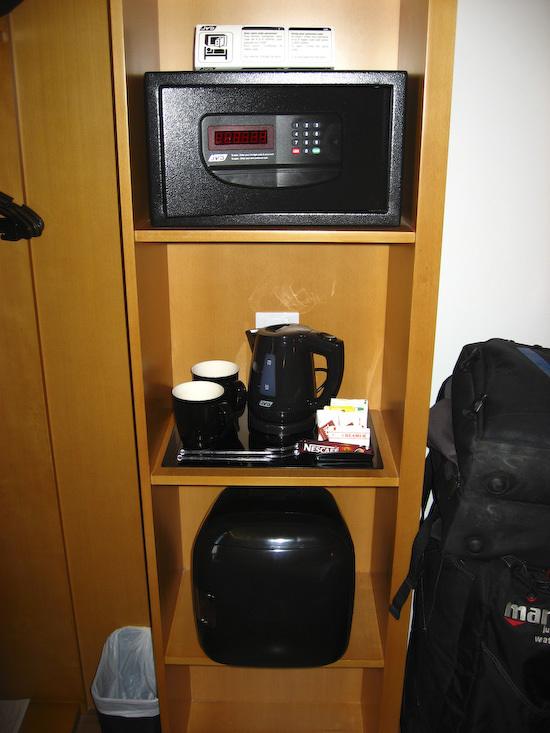 In short, I thought the Ibis was good value – the room is small but well-equipped with flat screen TV, a small desk and chair and fridge. 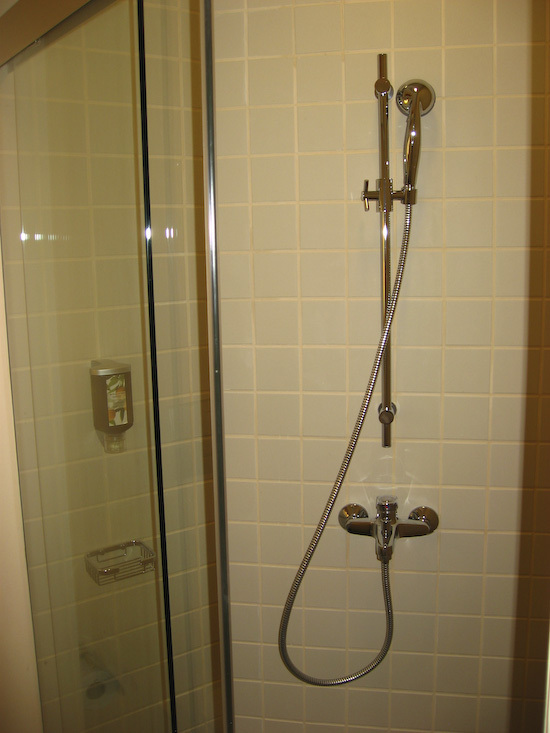 The double bed is comfortable, the shower hot and powerful, and there’s free wifi. 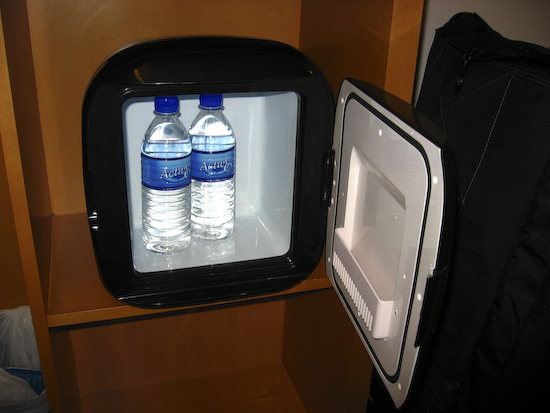 There’s also two bottles of water and complimentary tea and coffee with a kettle, along with decent towels in the bathroom too. Given the hotel is brand new, it’s unsurprising everything was in good order, but there is clearly good standards of maintenance and room cleaning being used. 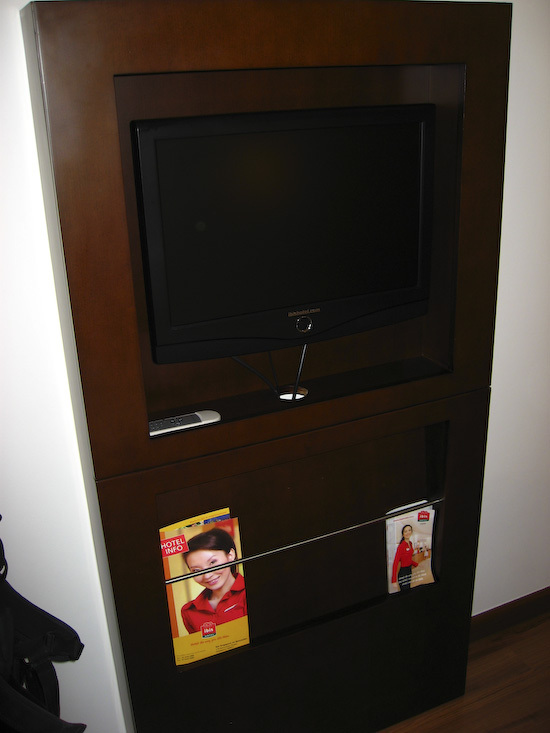 It was comparable to the Hong Kong Harbourview Hotel which I stayed in a few months previously. The location of Ibis is also excellent – within walking distance of many of Singapore’s major attractions, and also very near to the MRT public transport system. Checkin was OK – the hotel is already popular with tour groups so you might get stuck in a queue. 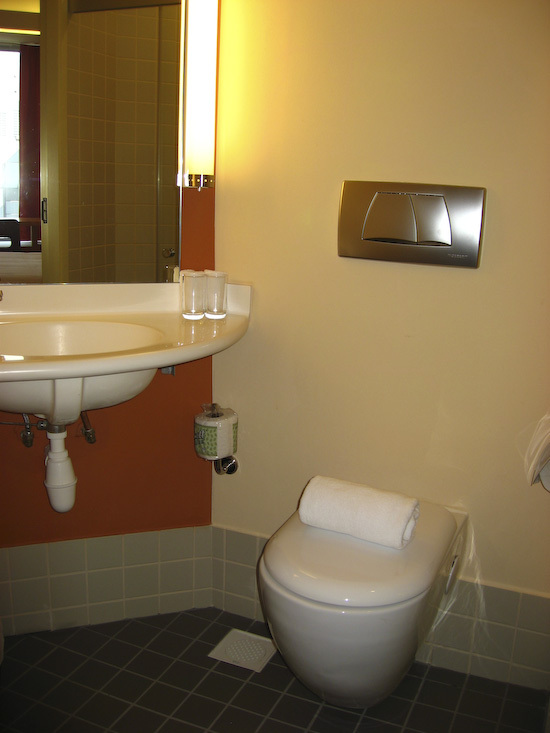 Below are some photos of the Ibis room in which I stayed, which should give you a good idea of what it’s like. Bottom line – if I needed to overnight in Singapore again, I would probably head here, unless I can find somewhere else as clean and well-kept for a similar price.